Charming and Rare Mid-Century Gem in Heart of Montclair. Open, Spacious Floorplan with Expansive Master Suite embracing 22 Windows, Vaulted Ceilings and Skylight. Master Bath includes Steam Shower, Jacuzzi-Soaking Tub, His & Her Sinks and Closets.Kitchen has Walk In Pantry with Island/Bar opening to Dining & Living Room.Sunroom and Sliders open to New Outdoor Patio and English Garden Back Yard. Tons of Storage with Laundry Room & 2 Additional Walk in Closets off Sunroom. 1726 square feet all on main floor. 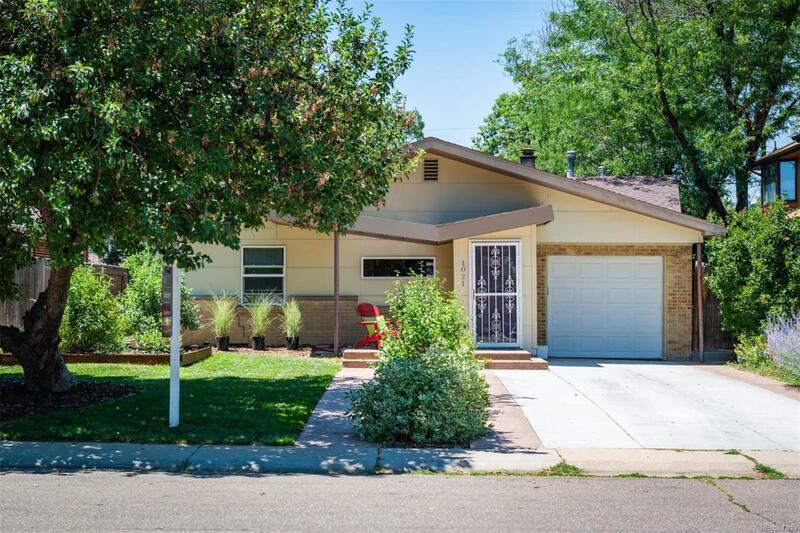 UPDATES INCLUDE: 2015: New Driveway, Stamped Concrete Patios Front & Back, Attic Insulation, Microwave, Updated Sprinkler System & Landscaping, Recessed Lighting. 2017: New Hot Water Heater. 2018: New 2 Portable AC UnitsFANTASTIC LOCATION: Walk/Bike to Coffee, Berthas Baja Bistro, Marczyks, Blunozer for Breakfast. Ride 11th Ave Bikeway to Trader Joes, Snooze, Sushi Harbor and 9th & Colorados New Shops, Restaurants, Movie Theater and More!